I finally did it. After thinking about it for almost a year, I cut all my hair off and I couldn't be happier! I have always had a love/hate relationship with my hair. It has a natural wave to it, which is really lovely but it is so frizzy. Like, I couldn't just let it air dry. I would look like a lion. It is also SUPER thick which I am so thankful for but it is heavy, takes hours to dry on its own and needs constant styling to look half decent. I had a few inches snipped off, which are from the photos below. I was loving it for the first few weeks, but after that, it didn't even feel like I had it cut! For about 2 months before I cut it all off, I wore it up every single day. I just didn't love it and didn't want to waste the time to style it for me to only throw it up in annoyance an hour later. So I cut it off. And it feels amazing! Styling takes about 10 minutes and I can go 2-3 days without washing. I honestly feel like myself with short hair and I can't wait to experiment with some colour and shorter styles! Stay tuned for some styling posts/videos! I absolutely love it. I have a number 2 at the back fading into a natural length. Sides were scissor cut to about 1 inch and the top left longer for more options when styling. I will be going shorter on the top next time but I just cannot get over how beautiful it is! 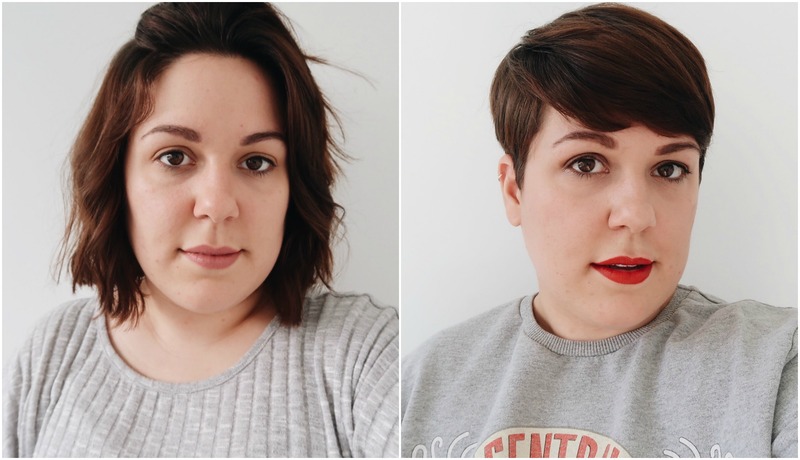 If you have been thinking of getting the chop but are too scared, just do it! The best thing about hair is that it grows, so yeah sure the growing out process will be hell but who knows, you might love it so much you never want to grow it out again.